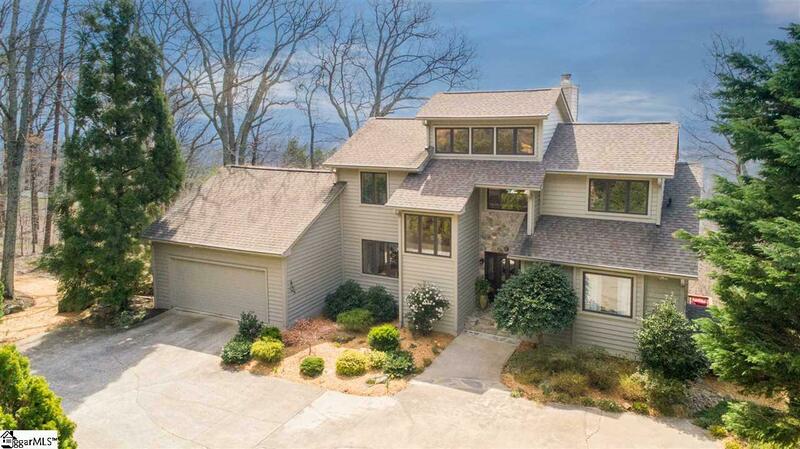 Contemporary living combined with spectacular views spanning the Carolina foothills is a major highlight found in this unique four bedroom, three and a half bath house nestled on the side of Glassy Mountain. 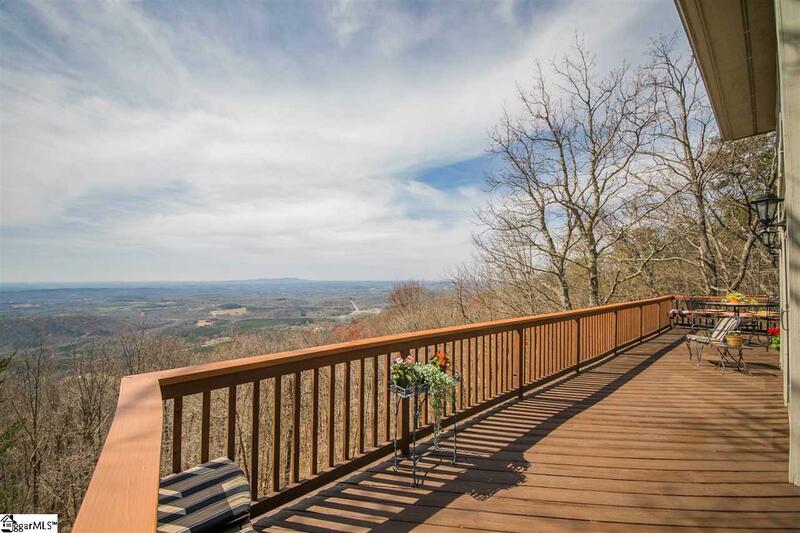 Stunning views from this great location on Glassy Mountain in a mid-century modern influenced design. 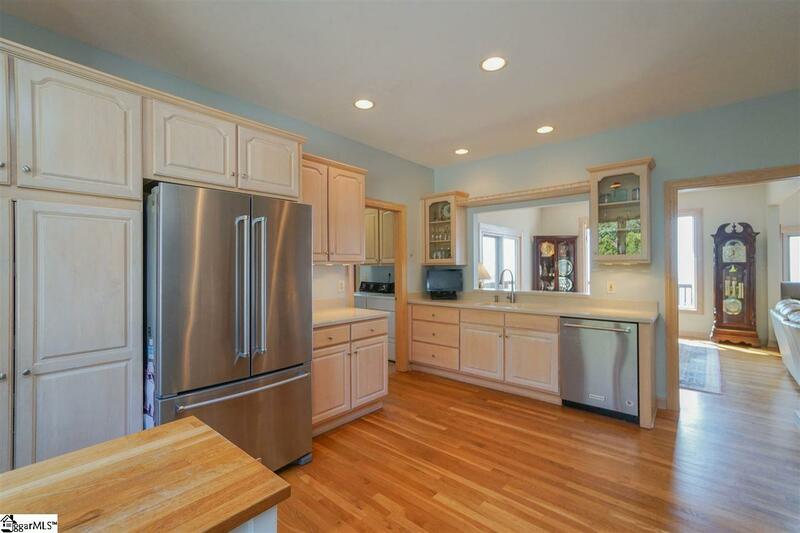 New HVAC, New Stove, new microwave plus many other improvements all with a great NEW Price. 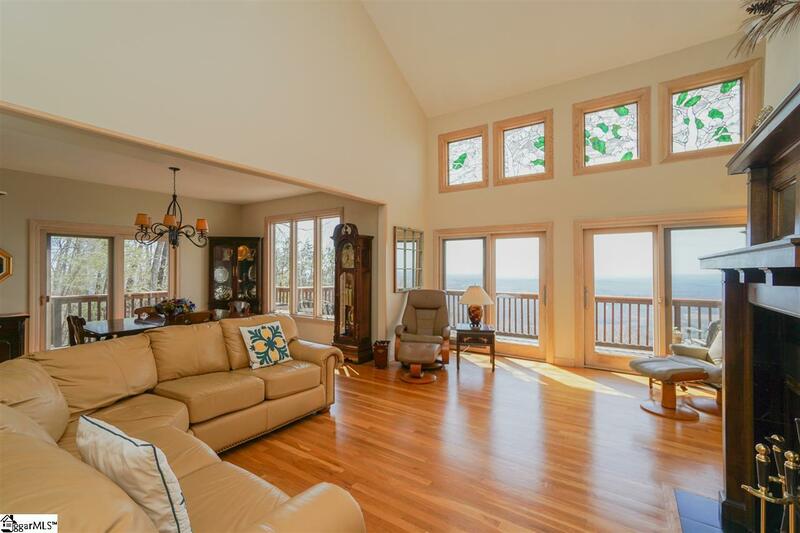 Architectural highlights include a contemporary lantern roof with custom designed stained glass, triple windows, clerestory windows and skylights that bring natural light throughout. Upper and lower decks spanning the entire length of the house ensure impressive vistas from every major living area and multiple outdoor living spaces. Walking paths, beautiful low maintenance terraced landscaping and evergreens provide privacy while enhancing the natural setting. A Club membership providing access to all seven Cliffs neighborhoods is available for purchase with the sale of this house.